Gaiam’s Untangle meditation podcast features real people with extraordinary stories, and experts who have devoted their lives to teaching and helping others through meditation. In this episode, host Patricia Karpas sat down to talk with the Yoga of 12-Step Recovery program (Y12SR) founder and director Nikki Myers. Y12SR was founded in the belief that yoga and the 12-step program share many points of intersection, and together, can support recovery in people who have been impacted by addiction and chronic trauma. Nikki’s journey has driven her to discover the significance of mind, body and community in overcoming addiction. Share the powerful framework of Y12SR with communities in need. 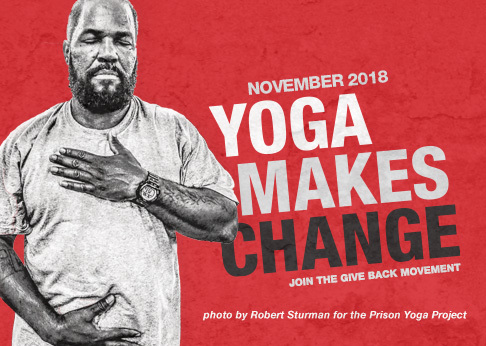 Donate to help bring Y12SR meetings to urban treatment centers, or find a Y12SR training near you and get involved in sharing the transformational tools of yoga and mindfulness for addiction recovery and relapse prevention.